There’s a disagreement in my house that has raised its ugly head again this year. If you read my post about reaching young customers, you know I’ve got a tween girl, and for the second year in a row she’s begun lobbying me heavily to go Black Friday shopping. She seems to think staying up late or waking up early, dealing with parking, crowds, lines and the occasional violent outbreak would be fun. I do not. No, count me among the increasing number of people who prefer to do their Black Friday shopping online on our own time. Even Canadians are getting in on this U.S. phenomenon. So it’s nice to see that more and more of the electronic items that might be on my holiday shopping list can be purchased right on Dell.com. 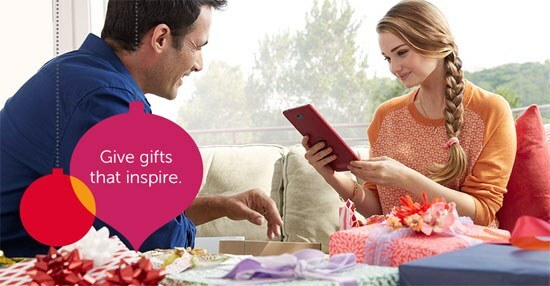 “Dell’s holiday deals are unprecedented and the selection is vast – we’re excited to offer something for everyone,” said Phil Bryant, vice president and general manager of our Consumer and Small Business team when he announced our Holiday Product Round-Up of products for fitness fanatics, film buffs, music enthusiasts, foodies, avid gamers and gadget gurus. Our awesome team behind Dell.com has been working to prepare for this busy shopping season by bringing new navigation and search capabilities to the site. I know how hard they work to make things easier for customers because I was part of that team for several years. That’s why I also know what a big deal it was to add the ability to purchase with Bitcoin on our site. According to The Coin Front, Black Friday last year may have been the biggest day for Bitcoin transactions in history. “Last year’s event saw a whopping 6,260% increase in transactions through BitPay compared to the previous year’s Bitcoin Black Friday. $6 million in sales were processed through BitPay that day,” they noted. But if you’re still new to Bitcoin or don’t have enough in your wallet for that 3D printer someone on your shopping list wants, we’ve always got options like Dell Financial Services offering 12 months special financing on MakerBot 3D printers with Dell Preferred Account. You can also sign up for the free Dell Advantage Loyalty Program and get an automatic five percent back in rewards as well as free second business day shipping on all purchases. It also gives you exclusive access to special offers and pre-sale events throughout the year. So, if you already have that 3D printer and are using it to make all your gifts this season, you won’t miss out on the excitement of a great deal that my tween so craves. For additional holiday gift giving inspiration, join the Dell holiday conversation online at #GetInspired and visit the Dell YouTube channel.